Home / Health tips / Maintaining Brain Health With These 5 Exercises. 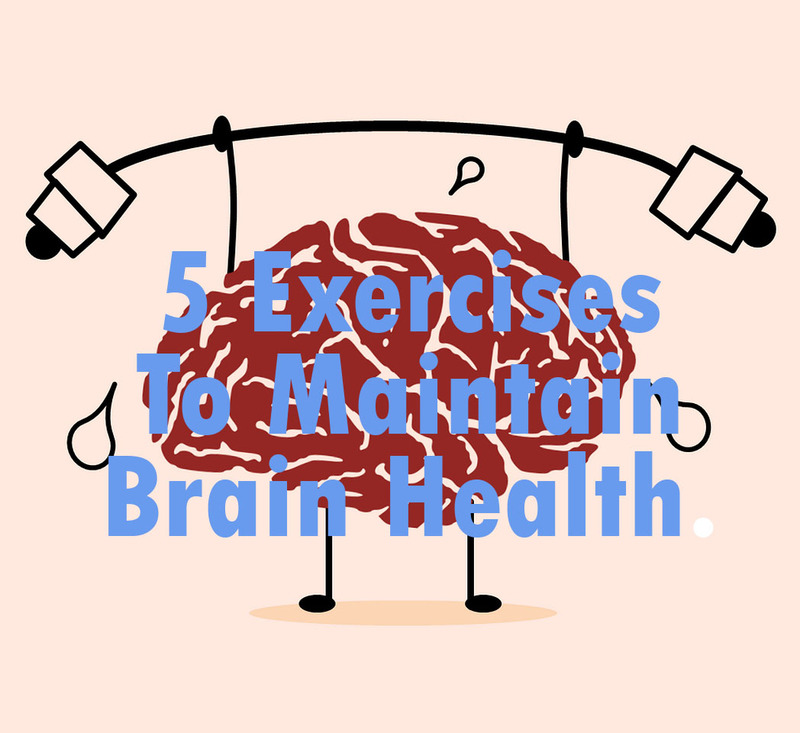 Maintaining Brain Health With These 5 Exercises. As you get older, the brain will age so that brain function also decreases naturally. Lately maybe you have become easy to forget or difficult to learn new things? It is a sign of brain function that has begun to sluggish. Even so, the decline in brain function associated with aging can be delayed or even prevented by exercising early. Research shows that some types of exercise that specifically focus on strength and endurance of the legs can help maintain brain health. Understanding the relationship between the brain, muscle, and nervous system. The brain is the center of the nervous system that regulates and governs all the nervous and muscular systems of the body to take action. For example, when you want to kick a ball. The motor cortex of the brain sends a signal to the spinal cord which will then instruct the leg muscles to contract, which is the kick motion on the ball. Interestingly, when the area of the brain responsible for carrying out a movement is experiencing disruption, the brain will do neuroplasticity. Neuroplasticity is the ability of brain nerve cells to repair relationships and replace other parts of the brain to take over. The better the function of your brain's neuroplasticity, the more flexible and agile the brain is to regulate all body functions. This type of exercise that focuses on the feet helps maintain brain health. According from Medical News Today, many studies have shown that muscle activity affects neuromuscular function, namely the ability of the nervous system, muscles, and brain to work together. The existence of muscle activity is able to stimulate the formation of new nerve cells, especially in the hypocampus (the area of the brain that stores memory and processes information). A study led by Raffaella Adami from Università degli Studies in Italy found that this type of gravity-defying exercise supports the brain health of lab rats. This activity is able to develop glial cells which function to protect nerve cells, triggering the production of neurons in the brain, while increasing muscle mass. The gravity-defying exercise referred to by Adami is a sport that has the support and pressure on the leg muscles. Relaxing, brisk walking and running are the easiest types of exercise. In fact, the speed and distance you can adjust. Most importantly, you can do this sport anytime and anywhere. This type of exercise strengthens the leg muscles, expands blood circulation, maintains the health of your brain and heart. This dance focuses on the speed of movement of your feet, hips and hands. This exercise can improve your body's balance, make the heart more active, and strengthen bones. Climb, climb stairs, and jump. Not just walking and running, climbing or climbing stairs also gives your foot a support. In fact, this type of exercise is actually more intense in intensity because you have to climb and also decrease so that it is more optimal for increasing foot bone density. In addition, jumping also benefits the same body by climbing. Jumping requires you to lift your body and finally step on the ground. Weight lifting requires you to lift weights so that it puts pressure on your hands, back, shoulders and legs. This exercise is best for increasing muscle mass. In addition, this exercise provides benefits to the body such as increasing bone density and maintaining brain health and keeping the body in shape. Badminton, tennis and table tennis. Every hitting or parrying motion requires you to move your legs following the ball or shuttlecock. Not only that, this sport also requires your arms, wrists, spine and spine to move. Besides burning energy, this type of exercise keeps increasing bone density, strengthens the muscles and is healthy for your brain.